Hickling Barn is a state-of-the-art facility with a wide range of options for hire with charges depending on time and length of booking. Hickling residents are entitled to concessionary rates for all hire periods. In addition Hickling children’s parties held between 3.30pm and 6.30pm Monday to Friday and all day Sunday will be at half price. To take advantage of this concession, bookings can only be made a maximum of 4 weeks in advance. Concessionary rates may be available from the booking secretary for new bookings, for start-up periods and for non-profit making local groups (usually charities) from within the Hickling area. Hickling Barn offers a professional and reasonably priced venue for commercial conferences and meetings. We have a fully equipped kitchen, Wi-Fi and excellent audio visual facilities. Hickling Barn is an ideal venue for wedding receptions and can be hired from 5pm Friday to 10.30am Sunday at an all-inclusive price. 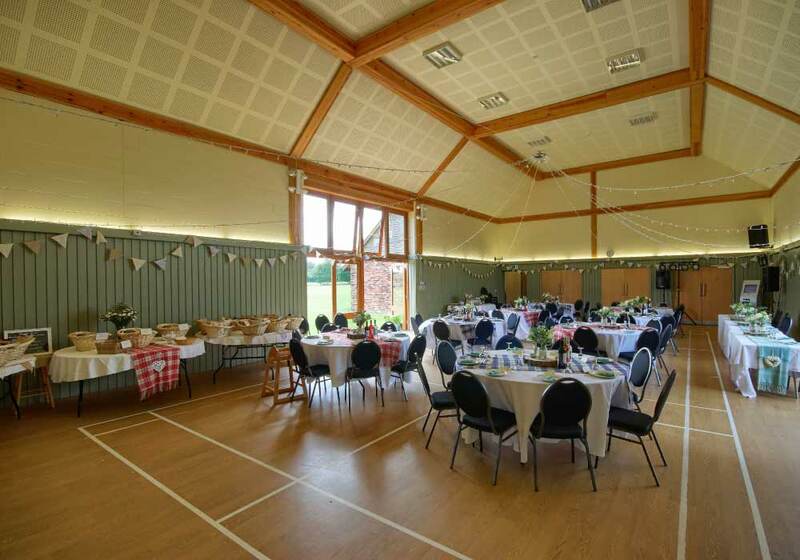 Hickling Barn offers a safe and secure venue for children’s parties during daytime hours as well as for afternoon tea parties and evening parties. Our main hall capacity is 150 persons in audience layout or up to 120 to dine, depending on layout and meal plan, and 180 for dance/disco style parties with no tables.